Bank of America Company Information Is this your company? Add your own content to this page. We currently have 94 open jobs at Bank of America. 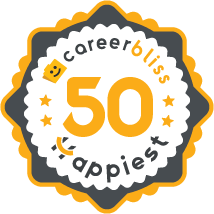 We've calculated that the average salary at Bank of America is $45K based on 22,738 user-submitted salaries A total of 2,342 Bank of America employees gave Bank of America an average happiness rating of 4.0 out of 5.0. 1008 Account Executives from Bank of America submitted salaries. 4.1 Bank of America is full of extremely talented hard working individuals. Many join the bank seeking a challenging experience within a large industry leading company. For this reason it is very competitive. There are several people willing to go the distance to get the job done, and for me, it was a rewarding learning experience as iron sharpens iron. Unfortunately, If you stand out, you will be sought after and you will work long hours, but you will not be compensated equitably for your work. Even so, you will walk away with experience that is unrivaled by other companies. They are flexible and adaptive to industry demand, driving the industry. There are also several opportunities to move around within the bank, allowing you to learn and broaden your experience. As I was an independent contributor in a management level band I took several lateral positions to broaden my experience and make my skill-set more valuable. I was also able to work remote the majority of my time I worked there, which allowed me to seek positions all over the company without moving and to collaborate with team members all over the country. Compensation is not competitive; however, I recommend regarding your work at Bank of America similar to earning a masters degree, paying for the experience. I worked for Bank of America for 8 years, my work was rewarding and I received much accolade and respect. I realized after about 5 years that my compensation was not growing in line with the respect I was receiving. I stayed because of the relationships I had built, however, during widespread layoffs I lost several close associates. At that point, I realized it didn't make sense for me to stay. If you are looking for a position that you can commit to for about 4-5 years, to gain a lot of experience, I highly recommend Bank of America. If you do look at Bank of America as a long term opportunity, you with likely be disappointed. 4 I have been with Bank of America for seven years. I am currently managing complaints that come in through all delivery channels including regulatory agencies. The company has been good to me and has fostered an environment that allows me to improve in my leadership skills as well as other skills to advance within the organization. Bank of America unfortunately does not have a strong presence here in the Pittsburgh area and has been displacing people slowly. We are the next group to be displaced and I currently prefer to stay local. With that said, there is not an opportunity for me to remain with the company at this time. However, if I change my mind, a number of individuals have reached out to me to use a reference or contact person for now and in the future especially if I am willing to relocate. Stop the fear tactics. Promote people based on performance and merit. Do not spread rumors about your peers or direct reports. Keep confidential proprietary information private. When you have someone that wants to post out of the dept, help them to do so. If you have direct report that does not like another direct report, help to resolve the issue, do not instigate or act like it does not exist. Bank of America is the fifth-largest company in the United States and the second-largest non-oil company. Its retail banking operation has an impressive network of 5,900 banking centers backed up by 18,000 ATMs covering all 50 U.S. states, the District of Columbia and 40 countries outside the United States. In addition to retail banking, Bank of America is also a major player in the investment banking industry. In 2008, it acquired Merrill Lynch, making it the largest wealth manager in the world. Bank of America jobs are available below for your convenience. Bank of America also organizes events on college campuses, giving presentations and conducting graduate recruitment interviews. People interested in a career at Bank of America can create a profile on CareerBliss, and set up job alerts so that when a new position at Bank of America is posted, in your location, you will be notified via email the job listings to apply to.